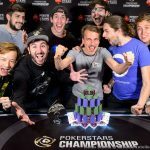 The PokerStars Championship, presented by Monte-Carlo Casino in the chic enclave on the French Riviera, hosted a €50,000 ($54.5K) Single-Day High Roller, which attracted 52 unique players, which included a dozen re-entries. In the end, it was 22-year-old Adrian Mateos of Spain, winner of the 2013 World Series of Poker Europe Main Event and EPT11 Grand Final, who defeated his competitors for the title and the €908,000 ($989,438) first-place cash. 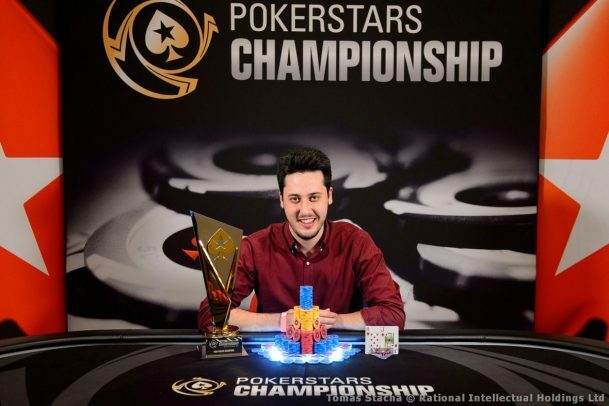 Adrian Mateos scooped the PokerStars Championship Monte Carlo €50K Single-Day High Roller to move into second place on Spain’s all-time money list. 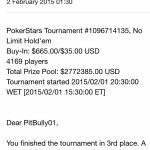 (Image: PokerStars). Currently ranked ninth on the Global Poker Index, Mateos brought his lifetime earnings up over $8 million with this win. That moved him into second place on Spain’s all-time money list, right behind 2001 WSOP Main Event winner Carlos Mortensen. 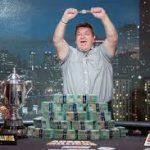 The victory was also the third-largest of his career, after taking home $1,351,661 and $1,214,161 for his WSOPE and EPT11 wins respectively. Other highlights on his tournament résumé include being runner-up to Dietrich Fast in March’s Seminole Hard Rock Poker Showdown $50,000 Super High Roller for $413,567, winning a second bracelet by capturing last summer’s WSOP Event #33: $1,500 Summer Solstice for $409,171, and 11th in the 2016 WSOP $111,111 One Drop High Roller for $310,550. As usual, the high roller final table was chock full of familiar names. For once, German wunderkind Fedor Holz didn’t win, instead having to “settle” for fourth place for €319,800 ($348,482). Likewise, Poker Hall of Famer Erik Seidel came up just short, finishing third for €423,800 ($461,810). When heads-up play began, Mateos held a five-to-one chip lead over Canadian Daniel Dvoress. In what would be the final hand of the tournament, which took place in Level 22 (60,000/120,000/20,000), Mateos moved all in holding the J♦8♥ and Dvoress called off his 11-big-blind stack with the K♠2♣. Dvoress was out in front, but not after the 8♠3♣3♦ flop gave Mateos two pair. Neither the 5♦ turn nor 3♥ river was the cowboy Dvoress was looking for, and he went home with second place and a €652,000 ($710,477) consolation prize. Dvoress, who had finished third in the €100K Super High Roller for €832,800 ($907,710), is still seeking his first major win, but the score did allow him to crack the top ten on Canada’s all-time money list, with nearly $5 million in earnings. The only remaining High Roller on the Down PokerStars Championship Monte Carlo is the €25,750 ($28,094) High Roller, which will run from May 3-5. That tournament, which is a part of PokerStars Makes Millionaires, will feature a €1,000,000 ($1,089,950) guaranteed first-place prize.